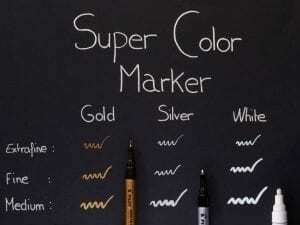 Home / Calligraphy Catalogue / Gilding / Pilot Super Colour Markers Gold, Silver and White Markers. 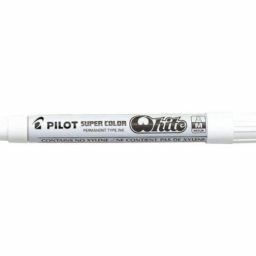 Pilot Super Colour Markers Gold, Silver and White Markers. 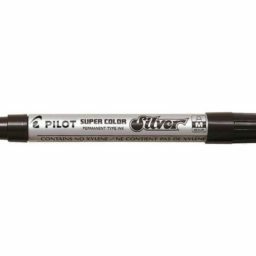 Pilot Silver, Gold and White “Super Colour” markers write smoothly with opaque permanent ink covering background colours without being absorbed. Shake before removing the cap (with the cap securely attached) and pointing upwards. Shake several times, remove the cap and press the tip down 3 or 4 times on scrap paper to start the ink flowing. 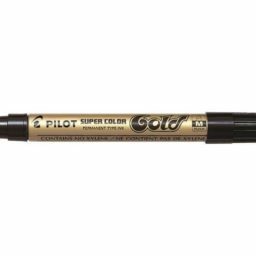 Cap the pen tightly and keep horizontal when not in use.Pilot Silver Gold and White “Super Colour” markers do not contain Xylene.